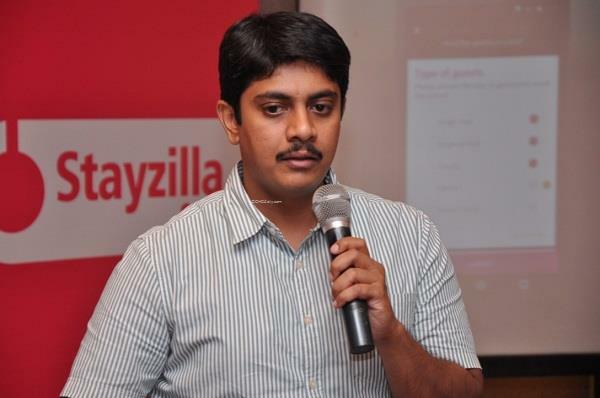 Stayzilla CEO Yogendra Vasupal’s bail petition has been dismissed by a Special Metropolitan Magistrate court. Vasupal had been arrested 9 days ago on charges of cheating Jigsaw Solutions, an online advertising agency which claimed that Stayzilla owed it Rs. 1.5 crore. Vasupal had earlier announced that he was rebooting Stayzilla after failing to compete effectively with bigger players in the market. “Since a police custody application is pending, bail cannot be given at this moment,” judge MM Kabir said in court today before denying bail. The judged had reserved his order during the bail hearing yesterday, and had additionally censured the police investigator for his handling of case. The proprietor of Jigsaw Solutions, Aditya CS, had filed an intervening application against Vasupal’s bail plea yesterday, contending that Vasupal and Sachit Singhi, the second accused in the FIR, were responsible for managing the affairs of the company. He countered Vasupal’s submissions that the company was managed and controlled by investors in Mumbai in his bail plea. Aditya has earlier been critical of Stayzilla’s business tactics. “These startups get funding, they spend carelessly, they live a hunky-dory life and keep our payments on hold, and then shut shop saying we don’t have money. People doing genuine business like us have to bear the brunt,” he’d said after Vasupal’s arrest. Vasupal’s arrest had sent shockwaves among the Indian startup community, which had then rallied together in his support. As many as 400 CEOs of startups across the country had signed an online petition addressed to Home Minister Rajnath Singh, as had several industry bodies. The founders had contended that Stayzilla was a Private Limited company, and Vasupal’s non-payment of dues was a civil case, and not a criminal case as it was being treated. There had also been disturbing details of how Stayzilla’s creditors had been threatening Vasupal. In one instance, Vasupal’s cofounder had had voodoo dolls delivered to his home with an attached picture of his young son as an intimidatory tactic. But with his bail petition denied, the Stayzilla CEO will likely spend some more time behind bars as a nightmarish scenario unfolds for this startup founder.